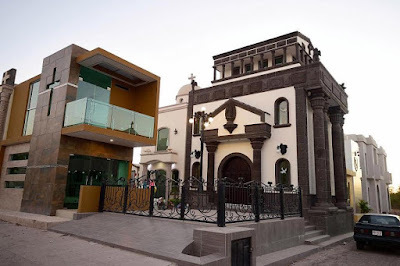 Dead rich Mexican drug lords are spending millions building five-star air conditioned tombs fitted with satellite TV. 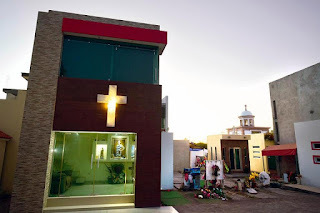 The ultra-secure burial sites are even equipped with bulletproof glass and CCTV so family members can visit them without being gunned down. Amado Carrillo Fuentes was once the most powerful cocaine trafficker in Mexico with a personal fortune of 30b. 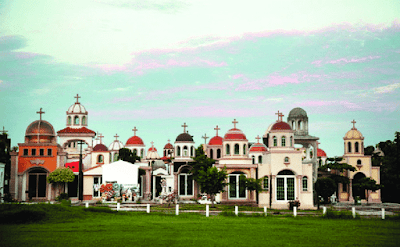 Several leading members of the infamous Sinaloa cartel are buried inside the Jarines del Humaya cemetery in Culiacan. 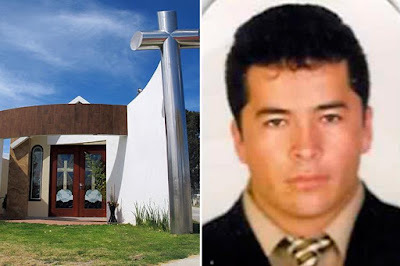 Unlike their many victims, the cartel bosses are buried in style. Most feature large portraits of the mobsters buried inside. 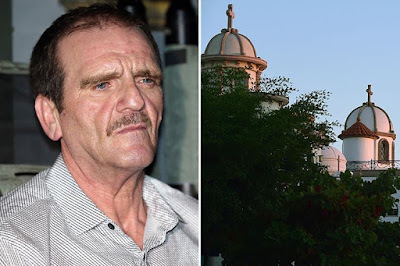 Hector Palma isn't dead yet but his final resting place is ready. It features a spiral staircase, banquet hall, kitchen and Wi-Fi. 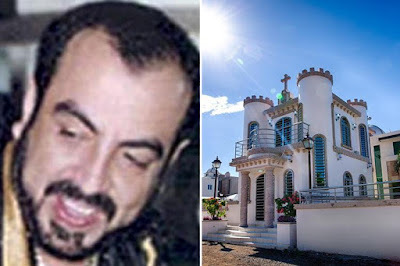 Heriberto 'The Cannibal' Lazcano of the Gulf Cartel died 2012. 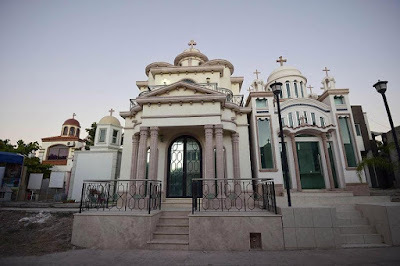 Some of the crypts look like chapels complete with stained glass windows and crucifixes while others resemble modern luxury apartments with glass doors and balconies. Arturo Beltran Leyva the 'Boss of Bosses' died in 2009. 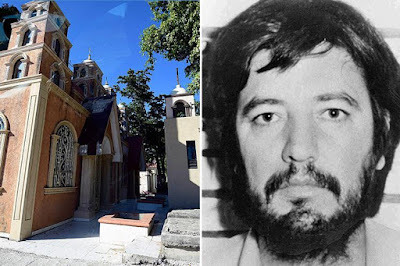 His tomb has Wi-Fi, satellite TV, air conditioning, two bedrooms and a kitchen.